Money could buy happiness if your purchases fit your personality, according to a study that examines nearly 77,000 actual UK bank spending transactions. 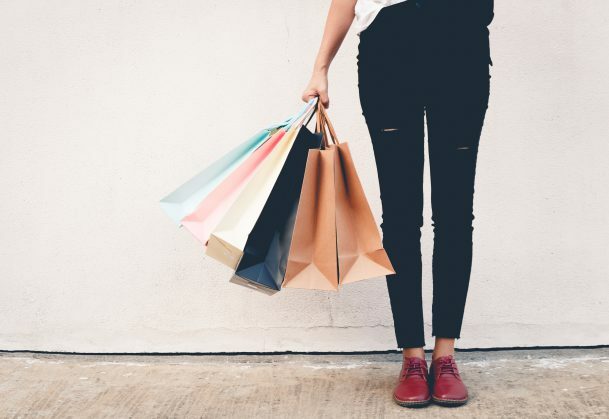 The study, published in Psychological Science, a journal of the Association for Psychological Science, revealed that people who spent more money on purchases that aligned with their personality traits reported greater life satisfaction. Spending-personality fit was more strongly associated with life satisfaction than were either total income or total spending. The study was conducted by researchers at Cambridge Judge Business School and the Psychology Department of Cambridge University in collaboration with a UK-based multinational bank. Customers were asked whether they would complete a standard personality and life satisfaction questionnaire, and to consent to their responses being matched anonymously for research purposes with their bank transaction data. The final study was based on 76,863 transactions of 625 participants—none of whose names is known to the authors. The study whittled down 112 spending categories automatically grouped by the bank into 59 categories that had at least 500 transactions over a six-month period. The study matched spending categories on the widely recognized “Big Five” personality traits—openness to experience (artistic versus traditional), conscientiousness (self-controlled vs easygoing), extraversion (outgoing vs reserved), agreeableness (compassionate vs competitive), and neuroticism (prone to stress vs stable). For example, “eating out in pubs” was rated as an extroverted and low conscientiousness (impulsive) spending category, whereas “charities” and “pets” were rated as agreeable spending categories. Further examples can be found below. The researchers then compared the participants’ actual purchases to their personalities using this scale, and found that people generally spent more money on products that match their personality. For example, a highly extroverted person spent approximately £52 more each year on “pub nights” than an introverted person. Similarly, a highly conscientiousness person spent £124 more annually on “health and fitness” than a person low in conscientiousness. And the data showed that those who bought products that more closely matched their personalities reported higher satisfaction with their lives, and this effect was stronger than that of their total income or total spending. The study was authored by Sandra Matz, a PhD candidate in the Psychology Department of the University of Cambridge; Joe Gladstone, a Research Associate at Cambridge Judge Business School; and David Stillwell, University Lecturer in Big Data Analytics & Quantitative Social Science at Cambridge Judge Business School. The researchers believe the findings hold widespread implications, including for Internet merchants using search-based recommendation engines. Companies can use this information to recommend products and services that don’t just increase clicks, but will actually improve the well-being of their customers—allowing companies to forge better relationships with customers based on what makes them happier. The researchers also backed up their findings by running a second experiment, where they gave people a voucher to spend in either a bookshop or at a bar. Extroverts who were forced to spend at a bar were happier than introverts forced to spend at a bar, while introverts forced to spend at a bookshop were happier than extroverts forced to spend at a bookshop. This follow-up experiment overcomes the limitations of correlational data by demonstrating that spending money on things that match a person’s personality can cause an increase in happiness. This research was supported by the German National Academic Foundation (S.C. Matz) and the United Kingdom Economic and Social Research Council (J.J. Gladstone).